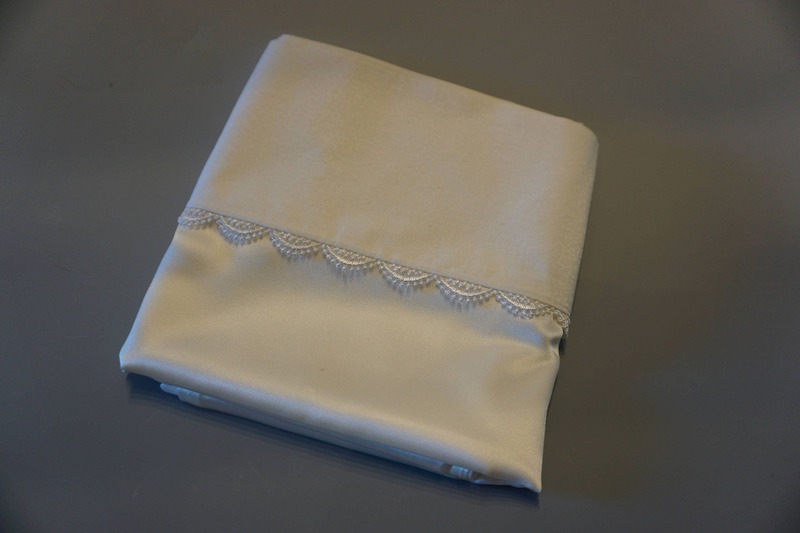 The pillowcases are made of charmeuse silk. It has a shine, like satin on one side and a matt finish on the other. 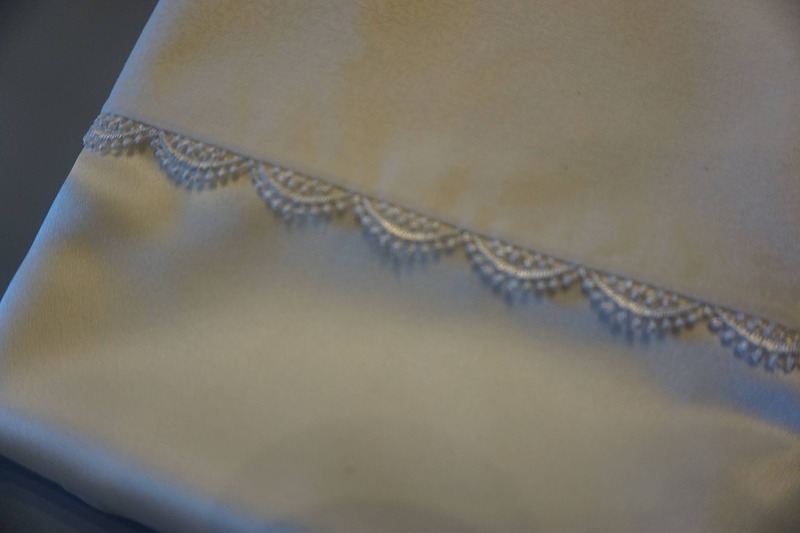 The trim is made of a guipure style lace, which makes for a very elegant design and would be wonderful wedding present (if you can bear to give it away). 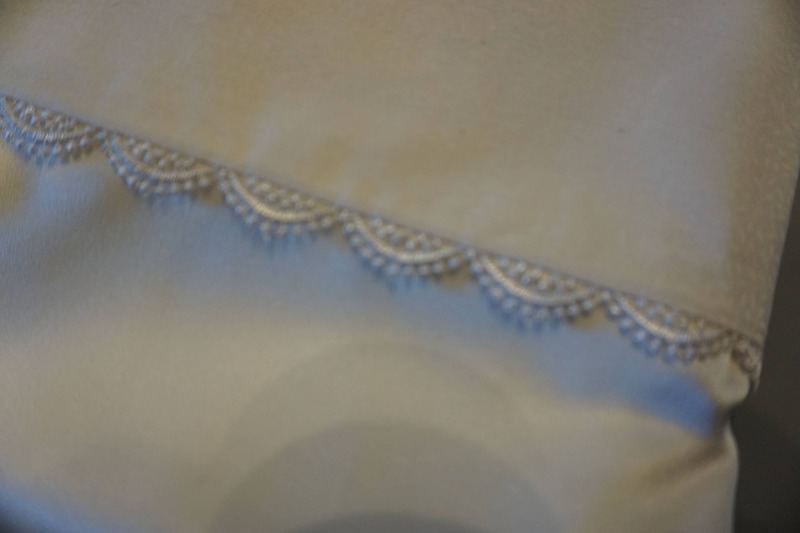 The top of the pillowcase is a white cotton with a subtle white pattern pattern and the back is 100% Egyptian cotton. 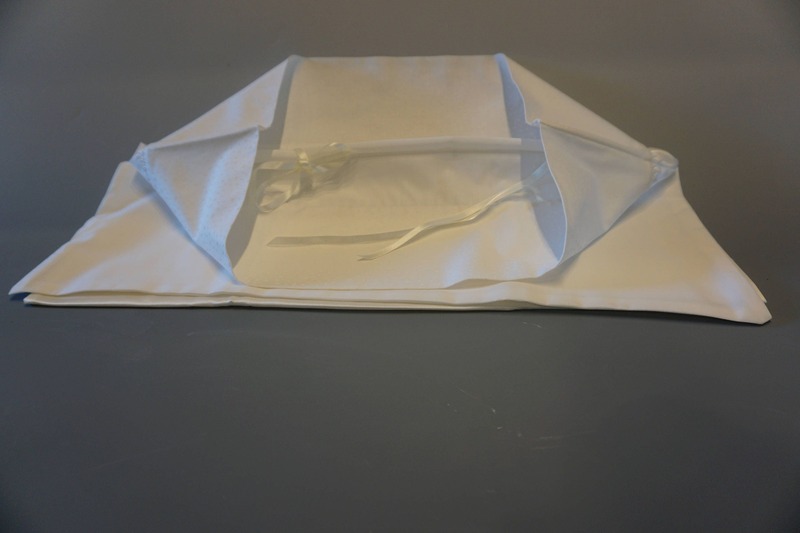 This is so that the pillow doesn't slip on the bed. Although they need a little extra care ( I wash mine in the machine on a silk wash) they are without doubt, worth the effort.